Christmas is way better with a three year old. 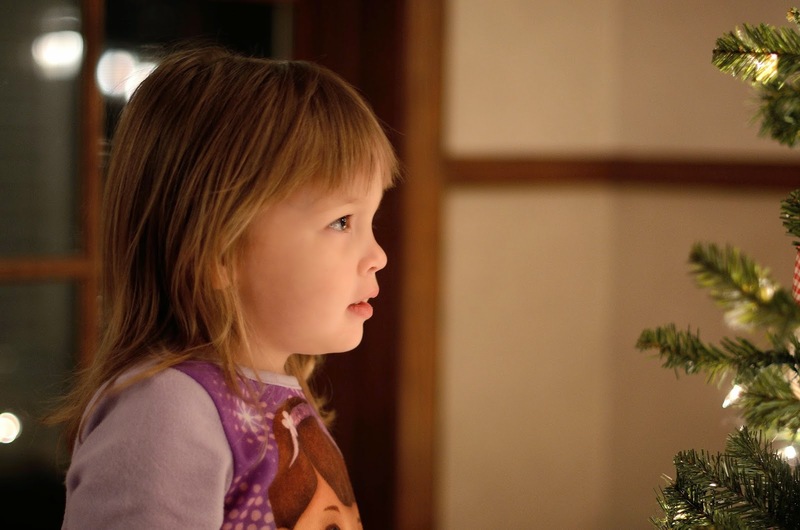 This is my granddaughter - she was kind enough to pose for me this Christmas. I posted this picture on Facebook and have had a lot of folks ask about it. So here is the specs on it. This is a pretty simple shoot if you know what you have - you need a fast lens that will allow you to shoot inside with available light. Ask you subject hold still by telling her that Santa is coming to town. I do love my 50mm 1.4. Saving some cash for 24 and 85 1.4.